SoilLife’s exclusive organic formula restores a soil’s depleted ecosystem to a healthy productive soil environment due to its unique blend of humate, dessert plant extracts and natural sugars. It acts as a bio-catalyst and a bio-stimulant for greater plant growth and vigor, making it the most advanced soil conditioning agent on the market today. 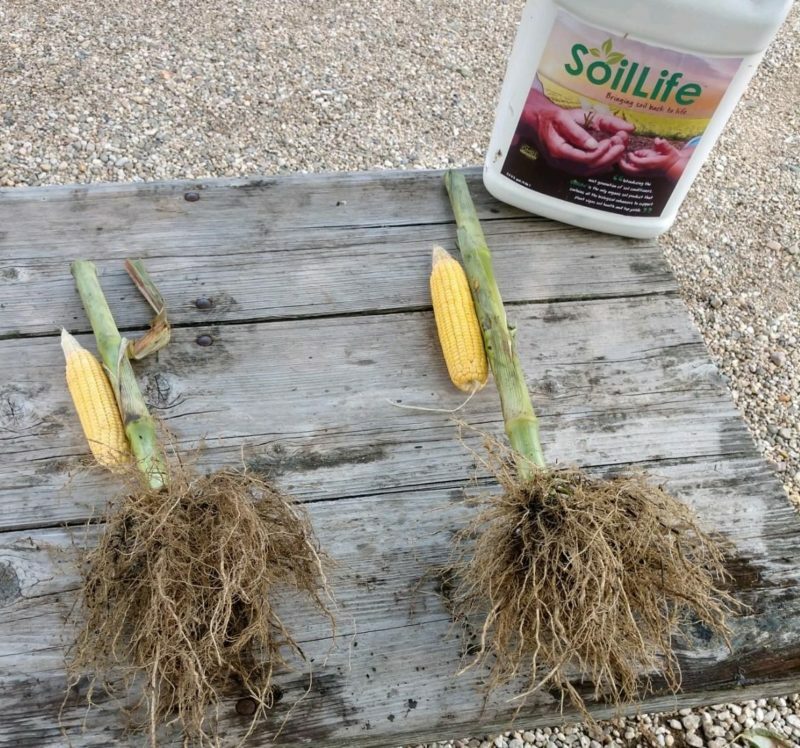 SoilLife promotes soil development, water holding capacity and enhanced plant growth the first time you use it. Consequently, your soil’s organic matter can be replaced in a few years – not decades. Developed originally for agriculture and turf management it is equally beneficial for lawn and garden use. SoilLife’s ingredients work together to support healthy soil and healthy plants. Our one-of-a-kind formulation of organic humate, natural sugars, desert plant extracts and biologicals is perfectly balanced to build healthy soil which in turn produces healthy plants. Click on our ingredients below to learn more! plays a vital role in soil fertility and plant nutrition. provide an immediate energy source for microorganisms.